Major Oak Polishing is a national cosmetic repair specialist. 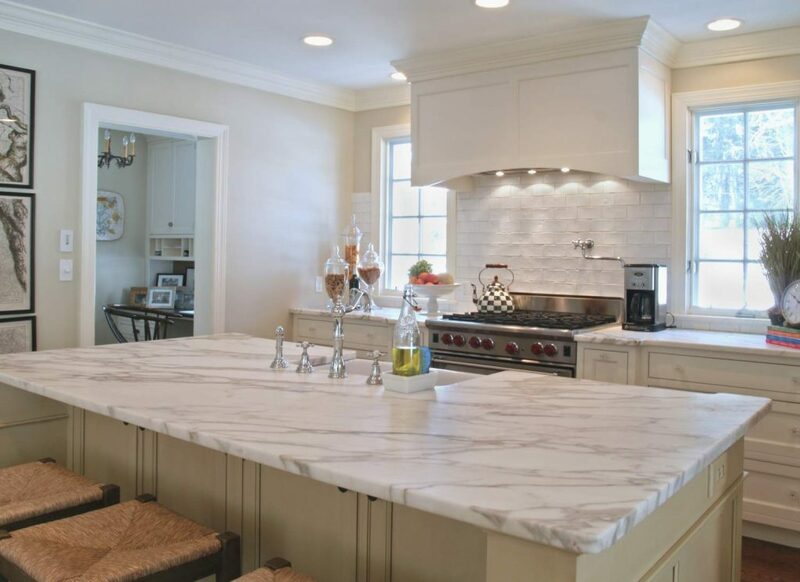 With over a decade of experience, we have developed unique techniques and product formulations specifically for marble restoration and repair. Our expert team of highly trained finishers are regularly called upon by refurbishment contractors, facilities managers, insurance companies and homeowners to deal with either damage or staining caused to this distinctive and expensive architectural material. Marble is in fact limestone that has been metamorphosed by geological events that generated huge heat and pressure. The resultant rock remains softer and much more porous than other, similar materials such as granite. As beautiful and hard as marble might appear when installed as flooring or as kitchen work surfaces, it can actually suffer serious damage in a variety of ways. Something as simple as a stiletto heel or moving a piece of furniture with unprotected legs can easily scrape marble flooring. Grit trapped beneath the likes of trays and saucepans can quickly dull the most expensive marble worktops. Even a plant pot placed directly onto a marble kitchen counter will soon leave an unsightly dark ring. Marble surfaces are also susceptible to staining from common foodstuffs and beverages, including orange, lemon and other juices. Tomato, meat juices and wine will all leave dull marks that household cleaners will struggle to deal with. Commonly used cleaning products can often cause more damage to marble due to the chemical elements they contain. Cream cleaners generally use some form or mild acid which will remove the marbles natural sheen of protective wax. This exposes the stones calcium carbonate matrix to further discolouration. Using alkaline based bleach is an equally bad idea if you want to maintain the elegant shine of marble. Even tap water contains salts, potassium and magnesium, which, if regularly used for cleaning, can cause pitting and spalling. Cleaning and maintenance cycles must, therefore, be strictly controlled. For regular cleaning of marble surfaces stone soap or an appropriate neutral (PH=7) cleaning solution should be used. Dry mopping is advisable in-between washing, and an annual maintenance regime to restore the shine may also be necessary. While adopting a properly matched and thorough cleaning regime should extend the life of marble surfaces, there will still come a time when proper restoration will be required. This is a task that should only be carried out by a professional. Major Oak Polishing has developed both marble repair and polishing techniques to return marble to a pristine condition and keep them there. These approaches have been developed in direct response to challenges set by commercial clients; often in circumstances where time is critical. If you have a marble surface that requires restoration or repair, please get in touch, providing as much information as possible. Our team of experts are always available to discuss any issues you have, and we can provide a free assessment and quote for the work that is to be undertaken. We also provide a wide range of other surface restoration services including French Polishing, Floor Restoration and Floor Sanding and Spray Finishing. For details of any of our services please get in touch. Marble is in fact limestone that has been metamorphosed through heat and pressure during geological events. During this process, natural elements produce the variety of colours and veining that look so appealing. The result of this natural process creates a more soft and porous rock than similar materials such as granite. This, in turn, leads to a higher risk of damage when not properly cared for. Do not use cleaners that are high in acidity. This includes natural cleaners such as vinegar and lemon juice. The acid content of some cleaning agents will quickly dull your marble surface. Clean up any spills right away by blotting them with a soft cloth. Especially spills from things like wine or tomato juice as again these have a high acid content. Do not be tempted to rub the marks away as this will only spread the potential damage more and cause more etching. Avoid household cleaners of any kind. The acid and alkaline content of the chemicals used in all general purpose cleaning fluids will cause damage to your marble surface. Powder cleaners and even soft cream cleaners used for cleaning tiles, grouting, or bathtubs will also damage your marble surface. They are far too abrasive to use on the soft marble surface. Don’t be tempted to place your toiletries on your marble counter. Soaps, toothpaste, shampoo bottles etc will leave a stain that will be hard to remove without damaging the surface. Instead, consider placing them in a decorative container. Marble worktops are not made to withstand a lot of weight and pressure. Do not be tempted to stand or kneel on them to reach a high cupboard for example. Too much pressure in one place will lead to your marble surface cracking. Finally, don’t use your marble surface as a workbench. Screws, nails and knives will all cause scratches in the surface. Don’t be tempted to work on your marble floor either; if anything is dropped on the floor, it can cause white spots, called stun spots, that cannot be repaired or removed. As discussed above, household cleaners are a real no-go for your marble surfaces. You could use a soft cloth or sponge with just hot water. The perfect cloth to use would be a microfibre one as this is very soft and will not cause any unwanted scratches. It is important to note that, tap water contains salts, potassium and magnesium which can cause pitting and staining in your marble surface if used regularly. Using a stone soap or an appropriate PH neutral cleaning solution (PH = 7) will help to avoid this. If your marble surface requires more of a deep clean than hot water alone, make sure you use a specialist marble cleaner. Different colour marbles will require different specialised cleaning solutions; our experts will be able to advise you on the best one for your marble surface. For marble floors, it would be a good idea to use a microfibre mop that is soft enough to remover the dirt without scraping it causing unnecessary damage. Do dry mop in between washing your marble floor to maintain a clean surface. We would advise an annual maintenance clean of your marble surfaces to restore shine and add protection. Our team of experts will be able to assist you with this. It is important to remember that water spots will appear on marble surfaces if left to air dry. So make sure that you always dry your freshly cleaned surface with a soft cloth. Protect your surface by using coasters and pot stands to avoid any ring marks. Do not place anything hot directly onto your marble surface as this will lead to damage. For an extra shine to your marble surface, you can use a chamois to buff up after cleaning. If you really want to make it shine you can use a commercial polisher and buff with the chamois after. Just make sure you use one that is safe for marble. Even if you have adopted a good cleaning regime for your marble surfaces, there will come a time where you will need some proper marble restoration carried out. This should only ever be done by professionals. At Major Oak Polishing our highly skilled team of experts that can repair and restore your marble surfaces. Our professionals have developed both marble repair and polishing techniques that will ensure your marble surfaces are restored to their pristine condition and kept that way. We are available to discuss your concerns and can provide a free quote of the work that is required.